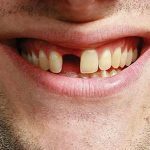 Home / Articles / How Cracked Teeth are fixed? How Cracked Teeth are fixed? Chipped teeth are a common problem for many people. Many of the foods that we eat contain solid ingredients such as nuts, seeds, and occasionally bones, which can be very adept at breaking and chipping teeth. The repair of cracked teeth can often mean less than affordable dental work.How can you get affordable dental enamel repair when your enable breaks or chips? While every oral situation may be different, here are four common fixes for cracked teeth. Extraction- In the most serious cases, the damage is so severe that the tooth cannot be saved with composite crowning or bonding. When this is the case, the tooth will have to be completely removed. The dentist will pull the tooth out from the socket and then install a replacement false tooth. 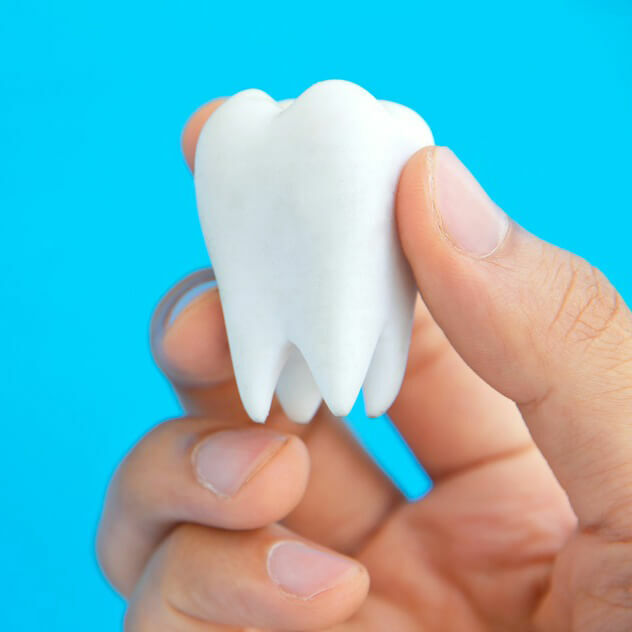 There are several different methods for replacing an extracted tooth including a partial denture, a bridge or dental implant. These are the most expensive restorative procedures and are also the most invasive. 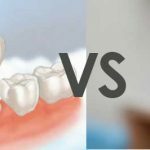 The best scenario is that enough of the tooth is in good condition to simply support it and not have to completely remove it. Crown- When a large portion of the tooth has been cracked, the dentist will probably recommend crowing the tooth. This is a restorative procedure involves placing a solid protective cap over the top of the damaged tooth. A crown will save what is left of your natural tooth and protect the surrounding teeth from infection and decay. Bonding- When the crack is large enough to be seen by the naked eye, it will require more than just simple filing down to fix. Your tooth will not naturally regrow and replace the crack. Once a tooth is cracked, the damage is permanent and only with restorative procedures can the tooth be saved. The restorative procedure commonly used for large cracks involves a popular resin-based composite to be placed and bonded to the tooth and then finally polished and shaped. This composite will look natural and restore proper tooth structure. File Down- A cracked tooth is usually fixed by polishing and filing down the tooth to piercing edges that usually lead to harm the tongue and weaken the tooth structure. Filing is the cheapest and least invasive of all treatments for cracked teeth. As long as the crack is small no further treatment procedures will be required. The important thing is that your receive treatment right away. The sooner you are able to get help the more likely you can avoid a more serious and expensive procedure. No matter what restorative procedure you may require be sure to follow your dentist’s instructions. You can lessen the risk of injuring your teeth by simply wearing custom mouth guards especially when playing high impact sports. For those individuals who are in search for a clinic that offers treatments for cracked teeth, our clinic is the best choice to consider and hire. I have a cracked tooth that recently started hurting pretty bad. Not only is the crack clearly visible, but I can tell it is deep. I suspect that the tooth is not in good enough condition to simply save it with a crown. If it turns out that the tissue is damaged, I would rather have a dental implant anyway. I just don’t want to mouth to keep hurting every time I bite down. A vertical crack that still has not extended to roots can be fixed by Buildup, Post and Crown and even by Filling in rare cases if it is attended quickly. However procrastinating on cracked teeth will lead into crack extending to the dental roots under biting forces which eventually causes infection that could be very painful and a threat to person’s general health since the infection may find its way into blood stream. In some cases when infection finds a way to drain, patient will not have pain which may make the problem undetected for longer time. In that case, the jaw bone will be compromised as well which lowers the patient’s chance for being a candidate for an immediate dental implant to replace that tooth. Patient will be required to receive Bone grafting and wait much longer for the extraction site to be ready for dental implant.